The Competition and Markets Authority (CMA) has closed its investigation into a suspected anti-competitive discount scheme developed by pharmaceutical company Merck Sharp & Dohme Limited (MSD) after finding no grounds for action. 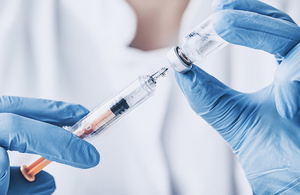 The CMA found that the discount scheme was designed to delay or reduce competition from other suppliers of infliximab, a drug used to treat chronic illnesses such as Crohn’s disease and rheumatoid arthritis. After its patent for its infliximab product, called Remicade, expired in early 2015, MSD introduced the discount scheme in an attempt to ensure the NHS would continue to use mostly Remicade, rather than competitors’ newer and cheaper versions of infliximab (known as ‘biosimilars’). By linking the level of discount offered on Remicade to the total amount of the drug purchased, the scheme – when coupled with caution in the NHS over moving away from tried and tested drugs – was designed to dissuade the NHS from trialling biosimilars, regardless of the potential savings. If it had been successful, MSD’s discount scheme could have delayed the NHS from benefitting from increased competition and making significant savings on what it spent on Remicade, which, at the time, was over £100 million annually. Having considered further evidence, the CMA case decision group has concluded that MSD’s scheme was not, in practice, likely to limit competition from others – the legal test for finding MSD’s conduct to be unlawful. This is because, at the time that the discount scheme was introduced, the market worked differently from the way MSD had envisaged when it designed the scheme. The CMA’s investigation serves as a warning to businesses which design discount schemes to protect their dominant market position, that they risk breaching UK competition law: had MSD’s scheme in practice been likely to prevent or limit competition from rivals, the company could have faced severe financial penalties. This case also highlights the rigorous procedures the CMA has in place to ensure that companies under investigation receive a fair hearing, including through the case decision group system, and that the CMA reaches final decisions that take full account of the evidence and arguments before it. Find more information on the Remicade case page.